I have both Apple and Android roots and since I have been in the Mobile Life “space” for the last 15 years, I have a lot of thoughts about the operating systems that both Apple and Android have to offer up for your smartphones and tablets. I have both Operating Systems and I have to say until now, I have widely preferred Android. There is so much customizing possible and I am all about making the device WORK FOR ME…the way I WANT IT TO WORK. Are you with me so far? Android launched this great way to make mobile payments a few years ago, but Apple is finally bringing NFC or near-field communication to their iOS devices. They tried to make up for it with the Passbook app but if you’ve ever had the chance to use NFC on an Android, you’d see how much more clever it is. Simply wave your phone over a terminal and you’re done, you’ve paid for a soda, pair of shoes, gas, Dunkin Donuts or other items at hundreds of thousands of other retailers. Verizon’s ISIS service has made huge strides in this arena and the consumer gets some great discounts. I am not exaggerating when I say I have been using a SWYPE keyboard for about 5 years. Some of those were still in Beta but none-the-less, it’s the fastest way to enter type. Check out this article What’s all the Hype about SWYPE I wrote about it back in ’09. Anyway, iPhone users are going to LOVE it. 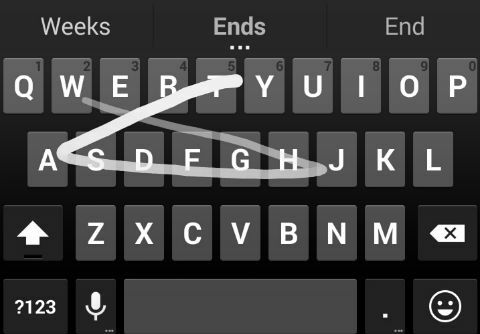 There are others like SwiftKey but SWYPE has by far been my favorite for years. When you are in the car, you will now be able to say “Hey Siri” to wake up your iPhone. Moto’s Droid Ultra and Moto X allow that now and at anytime. For example if I am walking through my house looking for my phone, I can say “Hey Google Now” and it will wake up and wait for my next command. Which in some cases is “Ring My Device” so I can find where I left my phone. Siri has been upgraded with new languages and some new commands. The ability to preview an app before you buy it with a video seems only natural…so much so that Google’s Play store has been doing that for ages. I don’t think there is an app in that market that doesn’t have a video with it. There I go giving Android props again. Well now iPhone and iPad users will get the same benefit with app previews. Along with that improvement, there will be enhanced app searches, app bundles, and Beta testing. When Apple launched their iCloud service, they only offered space for 1000 photos for one month. Quite frankly I saw that as a way to piss people off, who only needs their pictures for a month? Luckily, they smartened up and now offer 5GB with no time limit and the photos can be accessed from any device. Google offers a variety of storage solutions. Google+ Photos is free and unlimited and for documents, Google Drive which offers 15GB for free, which is much more generous than the 5GB offered by Apple’s iCloud Drive. But you now have a place to keep stuff accessible across your devices, you just need to tidy it up once in a while… like every 5GBs worth. I think these changes were warranted a long time ago but they are finally coming when iOS8 launches in the fall and they will make iOS devices even better than they were before. Hey, I never said they weren’t great devices! They certainly are, I just prefer a little more customization in a mobile device. What do you think? Are these features you are looking forward to? 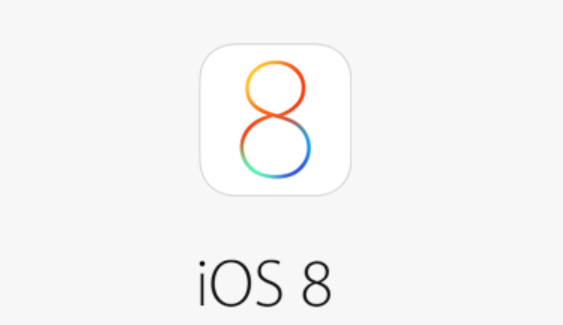 If you are an Android user, will any of them make you jump ship over to an Iphone/iPad?